Bullying can occur wherever children gather – and that includes the school bus. Bullying can be easy to miss on the school bus as drivers are busy concentrating on the road and cannot easily supervise all the students while driving. But it is important that drivers are alert to any and all signs of aggressive behaviour; bus drivers are not only responsible for getting students to school safely, they must also ensure students are safe while on the journey. At the beginning of the year, introduce yourself to the children and learn the names of the students on the bus. If you establish a positive relationship, children are more likely to feel safe when reporting bullying incidents. Think carefully about how you address the children on your bus. By modeling respectful behaviour and positive conflict resolution strategies, children are more likely to follow your lead. Compile a list of appropriate conduct and what is considered disrespectful. Post in a prominent place for students to see when they board the bus. If you make it clear that you will be monitoring the students and there are behaviours you will not tolerate, these behaviours are less likely to appear. If you acknowledge positive behaviour when you see it, it is more likely to appear. Adult intervention will stop bullying episodes. It is an adult’s job to keep children safe. 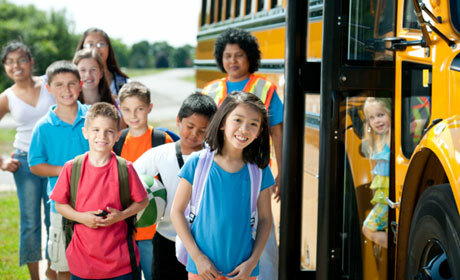 Assure the children on your bus they can come to you and you will keep them safe. Keep an anonymous drop box by the front of the bus for kids to leave notes if they are too scared to come forward. Do not sit young students with older students. Strategically seat new students and talk with children who appear to be stressed out. Always report any observations of school bus bullying to school officials or your supervisor as soon as possible. Work with the school to develop a policy about how to report and respond to bullying. As part of this, create a school bus consequence plan with school administration so children are aware they will be held accountable for their actions.